Perfection! Arrived safely and smoked like a dream. 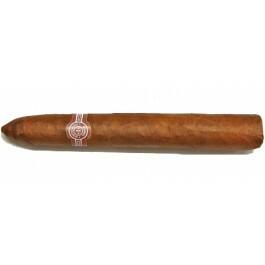 This cigar was out of stock buy the time I went to purchase, was a short wait time but it was worth the wait. Cigar Terminal is a great site , emails answered, great products, fast service with NO problems. I will be telling everyone about this site. Had this cigar on my bucket list and Cigar Terminal made it happen. Thank you. This cigar has all the flavors that they talk about in the reviews, with the exception to my opinion of this cigar. This cigar is more like the first drink of a Dr. Pepper soda with a cream soda finish and each draw having that great same peppery cream taste. I would not know why anyone would smoke anything else!! Unbelievable cigar, unbelievable customer service, lightning fast shipping. Switzerland —> East Coast in 7 days, during the holiday rush! Sticks arrived in perfect condition, perfect wrappers, perfect feet - no damage, and shrink wrapped w/ a Boveda RH pack. Dark, oily wrappers smelling strong of chocolate, oak and tobacco. I wish I bought more for aging. Do not hesitate to order. Cigar terminal will be my go to supplier from this point forward. Thanks again for the help, Mary. This is the finest cigar I have had the pleasure to enjoy. And this Habanos version is even better than the DR model we have been relegated to here in the states in the past. The great flavors of vanilla, chocolate and oak are smoothly delivered from first light to final draw. And this is the one cigar I have enjoyed whose fine aromatic smoke has been noticed and has been complimented on by passers-by. Nothing better.